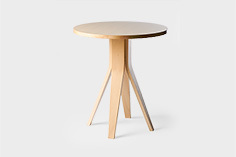 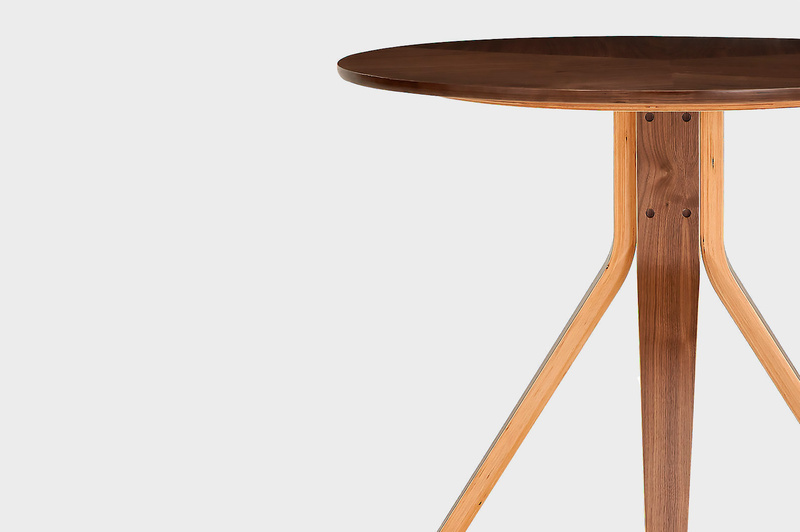 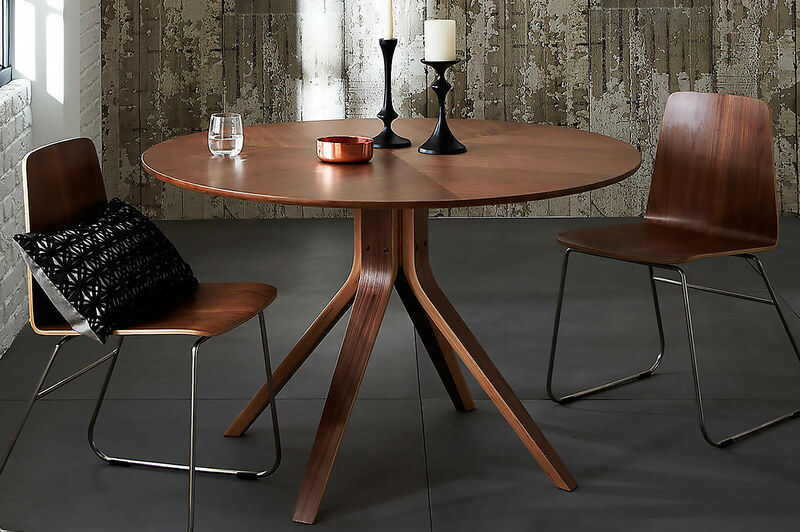 A reworking of the classic wooden pedestal table, visually lithe from top to tapered toe. 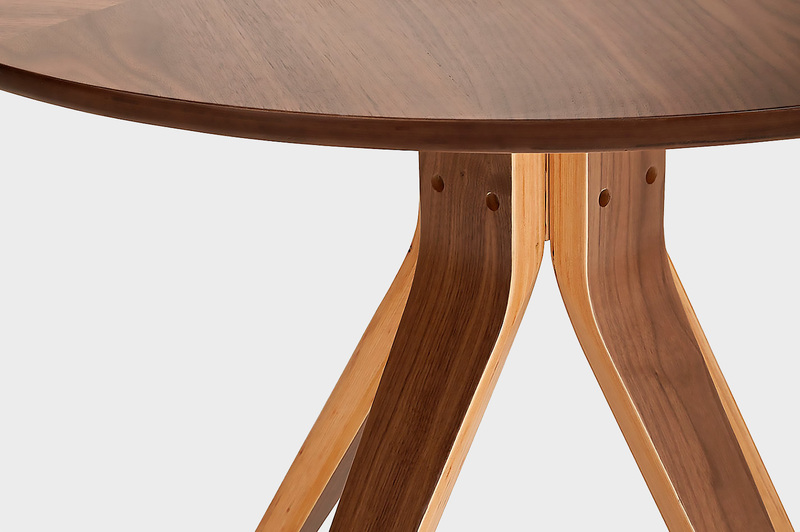 In the unusual geometry of the veneered top there is a faint echo of the sophistication of bygone centuries, but in a relaxed and thoroughly contemporary way. 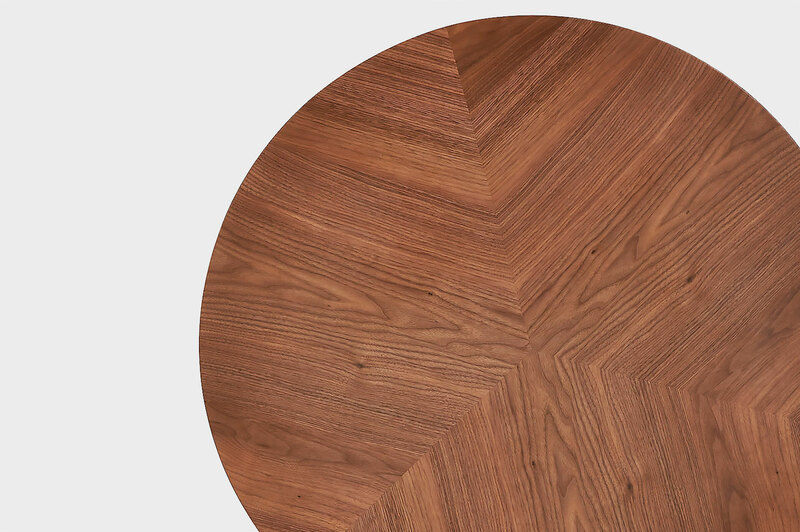 Oak or walnut veneers on laminated substrate.